My current setup includes an EZStruder, but it’s mounted in a bracket somewhere next to the printer, screwed to the table it’s standing on. Today I started designing a bracket that I could attach to the right side of the printer itself. The angle is still a bit off compared to the lines of the frame, but the initial print seems to match quite nicely. 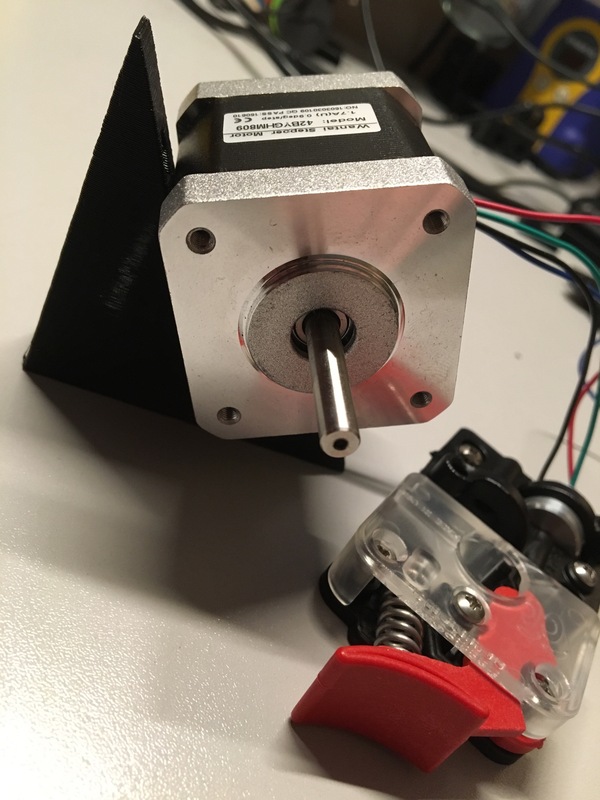 All motors and electronics have been moved to the new frame. Running the first test with auto bed leveling. So far it all seems good. Now to design the connector circuit board so that I can run all wires properly, but can still swap hotends easily. All electronics and motors removed, and ready to start on the new version. 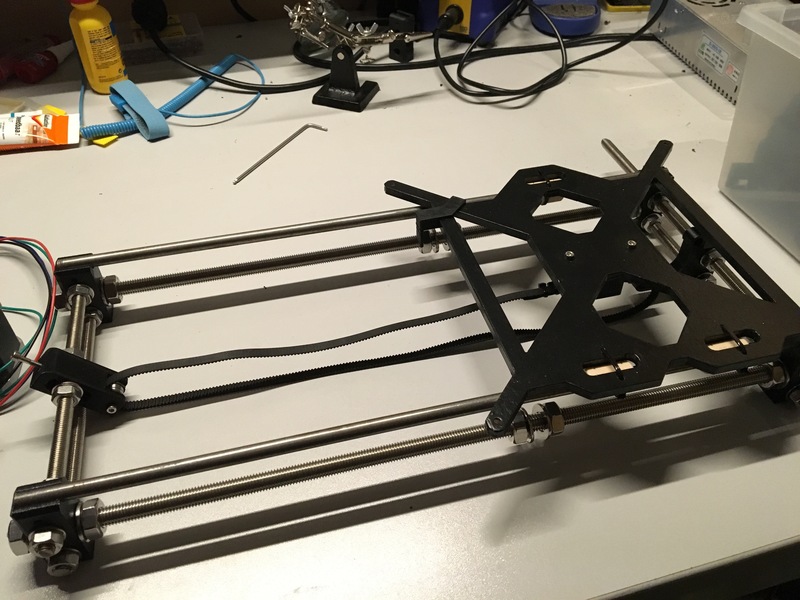 After quite a few weeks of work, I’ve finally created the last piece of the improved Prusa I3, fixing all the things that I did not like with my first printer. The overall idea is still the same, but I’ve replaced the threaded rods with ACME rods that are much better suited for linear movement. Additionally I added cable chains so that all the wires don’t get tangled up and get stuck. 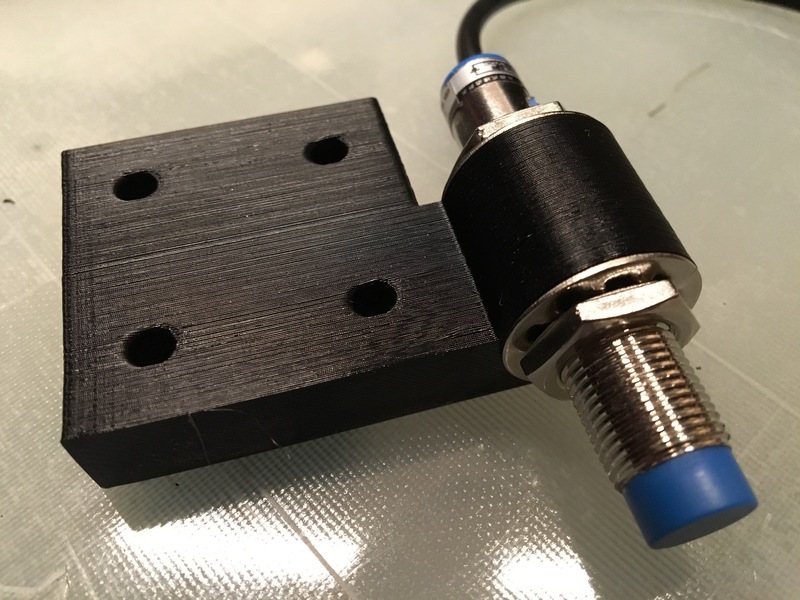 Now that I’ve completed the mount for my captive proximity sensor, all axes now have a proper end stop (which were lacking on my first Prusa), so in theory I should not run the print head into the bed again. 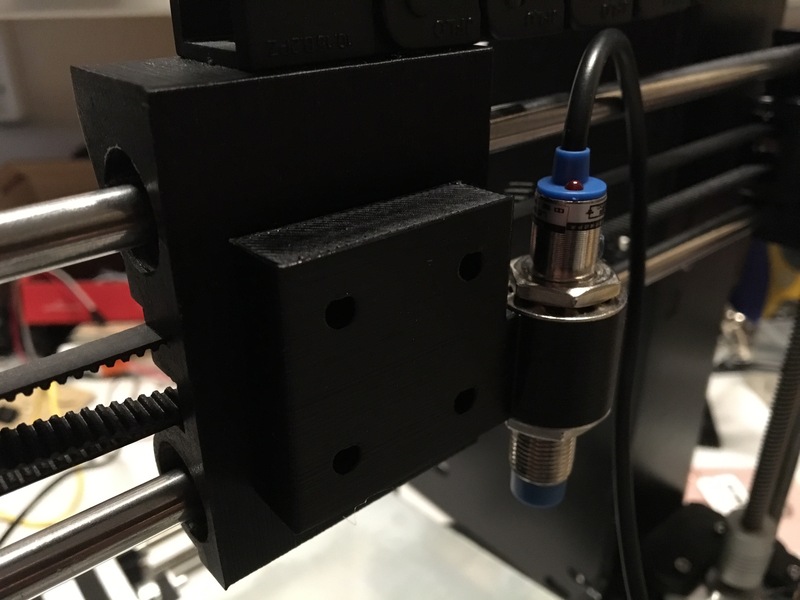 The Z-axis should also be more precise, and with the addition of the proximity sensor on the print head itself, I can even try automatic bed leveling, which should improve bed adhesion and overall print quality. 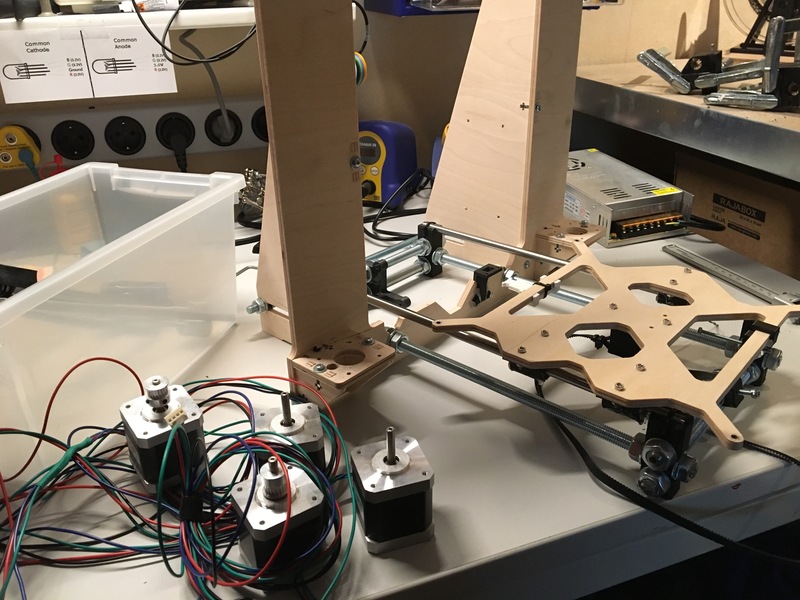 The next step is going to be to take the original Prusa apart for the electronics, motors and the heated bed, since those need to be reused. I can then put those pieces on the new printer so I can test if all functions according to plan.